I am very pleased to announce the first ever Raspberry Pi Academy for Educators! The Raspberry Picademy will be a free professional development experience for primary and secondary teachers, initially for those here in the UK. Over the course of two days, (14th – 15th April 2014), 24 applicants will get hands-on experience here at Pi Towers, and discover the many ways in which the Raspberry Pi can be used in the classroom, working with our team of experts. can demonstrate experience in using technology in the classroom – does not have to be Raspberry Pi! love challenges and overcoming problems. 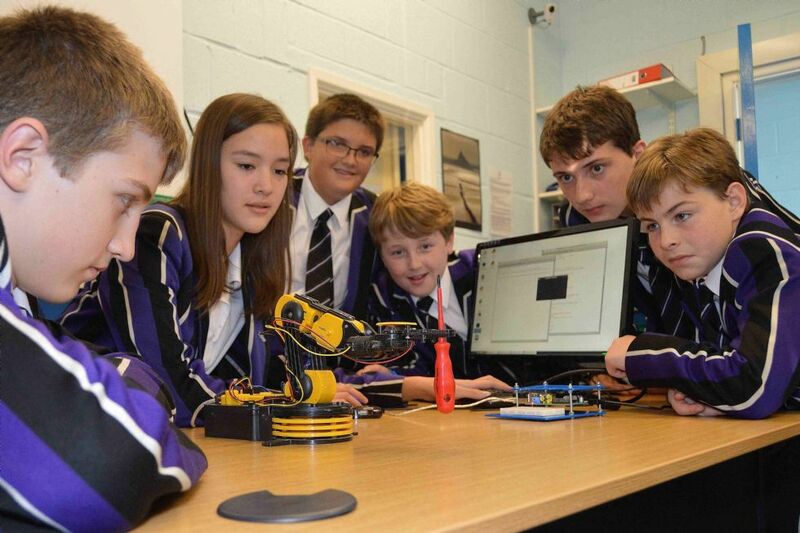 take an active role in the Raspberry Pi Education Forum to help inspire others. As well as training, educators will have access to a forum to share ideas, get some Raspberry Pi goodies and a special badge. If you think you might be one of our superteachers, then you can apply by filling out this application form. Please note that although this training is provided free of charge and we will provide your meals, you will have to make your own transport and accommodation plans (we’ll be making information about where you can stay and how to get here available to the people who take part). The deadline for applications is Friday 28th March. There will not be a second forum, but we hope that participants of this program will have their own tag. We believe in an open and friendly sharing community as you know. If you haven’t seen my PM from last week and Clive, et al, haven’t mentioned it, I’m suggesting we edumacation types get together at/after the SF Maker Faire on at least Saturday night to swap stories and otherwise share what we’re discovering. I’m also inviting folks for a special personal tour of the Computer History Museum just down the street from the Googleplex, which could include a presentation and demo of Babbage Difference Engine Design Two, Serial Number Two. Not Matt, Ben. What the heck is in my orange juice this morning? Oh, that’s not just orange juice, it’s a Screwdriver! Don’t Crush That Dwarf, Hand Me The Pliars. Is it Tuesday yet? They’ll have a ‘tag’ on the forum as Carrie Anne says because the certification will say very positive and specific things about that person, of course in the Raspberry Pi sense but also as an innovative educator and valuable community member. And we’ll be spring cleaning and reinvigorating the education sub-forum generally! Sounds great really interested in learning what needs to go into a scheme of work. Good afternoon any chance you will be doing anything simliar for US teachers in the future? 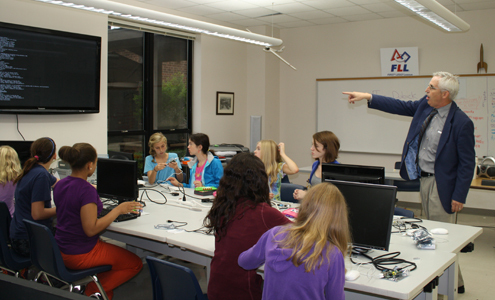 I have used Raspberry Pi a few time in class demos for my students and they loved it! CPD = I presume: Continuing Professional Development for those who don’t recognise it. I had to look it up, so I thought I might save others who wondered. n.b. I do realise the target market for the post will know but do wish acronyms were more often explained! Hi, where are you based? I would love to apply but need to look at accommodation costs if I was lucky enough to be chosen to take part. We are in Cambridge. We’ll be looking into sourcing the accommodation for all those who will be invited to attend (which you’ll have to pay for, but if we manage this properly it shouldn’t be crippling), so please apply; we’ll be giving details out if you’re selected. Is an email sent out in reply once the application has been submitted? Hope my application was received! Hi Georgina – no, there is no email confirmation, but we did receive your entry. Thank you for the confirmation :) much appreciated! I didn’t receive a confirmation email either – did you get mine? I’ve just replied to your email. As I said below, that form does not issue a confirmation email, so nobody will have received one. I hope you got mine too, bet you’ve had tons of applications? When you say soon, will this be before Friday as a lot of schools Finish for Easter then. When will people be know if they where selected? G’day from the colonies downunder. I would also like to interview any of the Picademy workshop team about this for my learning and teaching blog if possible. Hi, Unfortunately I cannot make it to the picademy. As a teacher with little experience trying to introduce coding and Raspberry Pis into my school, will the resources from the day be made available to all? The workshop material is usually things our team and contributors have put together so you’ll find some in our resources. There are also talks and there’s discussion and networking. A lot of the learning is hands-on and one-to-one, so you won’t get the same experience online. We’ll be making more dates available later in the year, though, so please keep an eye out if you’d like to attend. Will you be running another picademy soon in the UK? Yes, definitely. We’ll announce dates as they’re decided. Hope about a picadamey in the North East? I would love to attend but having to travel to Cambridge is just not doable. If it helps I can find a venu and I can also spread the word. How about just a simple introduction over a day run by someone local who is using them in school, this may then lead to more products bought a shop could be popped up during the event. Put me in touch with a local Raspberry Pi guru and I will make it happen. Very difficult to get released from school, any chance of something in the holidays? We’re thinking about it – we tend to get better uptake for termtime sessions, but if there’s enough demand we may open up holiday dates too. Can non-teachers get onto one of these courses? Although I am well past my sell-by date I would be happy to get involved with a local school to pass on my newly learned skills (no jokes about old dogs please). I have a reasonable amount of professional programming experience, but only for PC type applications, so I am wanting to experience a second childhood (not too far off I fear) and get involved with Pie-making!